The second I walked into the door the service was great hands down. If you are looking for storage in the Newnan area go and visit Chasity. She will help you find the right unit at the right price and make this one less stress for you! Not only did she make my move great, she treated me like famliy! Made our move so much easier!! Chasity was amazing!! She was able to get us into a unit quickly and made us feel so welcome and safe while touring the property! She is the friendliest and always had a smile on her face. Highly recommend!! What a great facility. Very clean, easily accessible units within the premises. Also, easily accessible location from major highways and I-85. Customer service was above and beyond!!! I would definitely recommend Storage XXtra! We have stored items with Storage XXtra for 5 years - Stephen has given us great service from day 1 - would recommend to anyone looking for storage! 4 1/2 Years and Not One Problem! Stephen Docket has been the best from the Beginning to the End for our Experience at this Storage facility. We moved most of our house hold into a unit in 2013, what was to be a year at the most turned into 4 + years and we have not had one problem! Stephen has always been there if we needed anything and he has been one of the nicest people we have meant! As far as the Unit, it has always remained at a controlled temperature and we have NEVER experienced a water/rain problem with Storage XXtra. WE WOULD RECOMMEND THEM! I enjoy keeping my things at storage extra. Great clean place to keep your things. Great space, great price, great manager. Was very pleased with the job Stephen did, he was professional and courteous. Great offices for price. Landlord is the best. Steven couldn't be a better Landlord. He listens to all my concerns and follows through with his commitments. The office space is perfect for my small business. Manager Stephen and Ms Nicole are excellent representatives of their co. They will assist you and work with you when necessary. 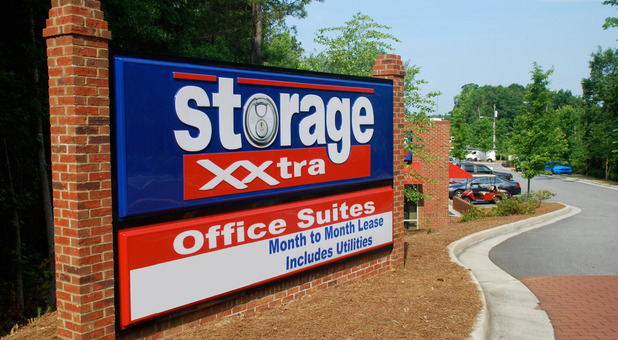 Strongly recommend xxtra storage in Newnan Ga. Started with the smaller office space, and now we have three units. Professional staff is primary reason for our long term business with Storage Xxtra. Very knowledgeable about the property. Courteous and friendly. This was the easiest part of my moving experience. Stephen went out of his way to make this as pleasant as possible. The units were clean, easy to use and accessible. Been with these good people for a long time and even added a 2nd unit! Everything went as planned. We got what we needed at the price we expected. The only surprise was a good one-- the availability of a truck to move things. I haven't used it yet but know it's there when we move things out. Great Experience, professional and accommadating. Stephen was awesome with us as we were picking out a storage unit. The use of the rental truck was an added plus. I'm so glad that we chose Storage Xxtra. Great service this is the second time I have rented a unit from Stephen and he is always very helpful! Steven is great, very accommodating and helpful. The facility is clean, secure, and easy to use. Would highly recommend Storage Xxtra. Great location, price and management... this property is safe, well lit and always SPOTLESS!